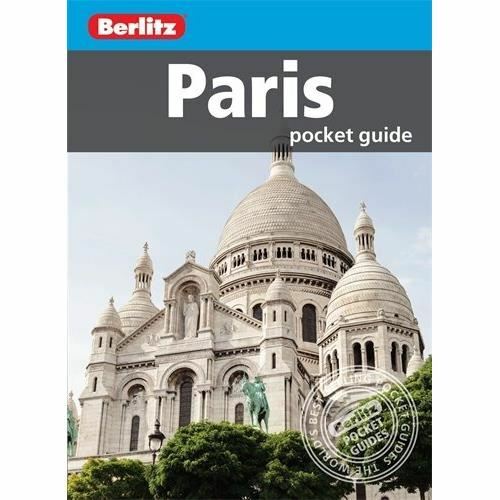 This brand new edition of Berlitz Pocket Guide Paris is a concise, full-colour travel guide that combines lively text with vivid photography to highlight the very best that the City of Lights has to offer. The Where To Go chapter details all the key sights, from the iconic Eiffel Tower and world-famous Louvre museum to the trendy Marais district and fabulous shopping. Handy maps on the cover help you get around with ease. To inspire you, the book offers a rundown of the Top 10 Attractions in Paris, followed by an itinerary for a Perfect Day in the city. The What to Do chapter is a snapshot of ways to spend your spare time, from browsing the plethora of street and fleamarkets to enjoying the nightlife in hip Oberkampf district. You'll also be armed with background information, including a brief history of the city and an Eating Out chapter covering its world-famous cuisine. There are carefully chosen listings of the best hotels and restaurants, and an A-Z to equip you with all the practical information you will need. Editura Berlitz Publishing Company, Inc.